Taking the Pup Out to the Ballgame ~ Learn, Live, and Explore! 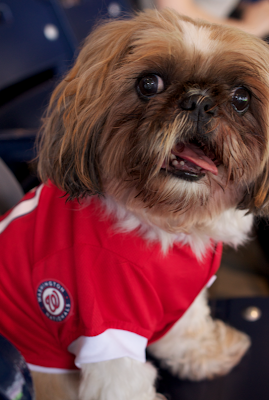 On Saturday, the Washington Nationals hosted a fantastic Kids Day event - furry kids that is - Pups in the Park! 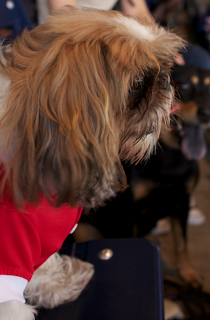 Surprisingly, I did not hear the dog anthem, "Who Let the Dogs Out," once during the entire game. What a missed opportunity. 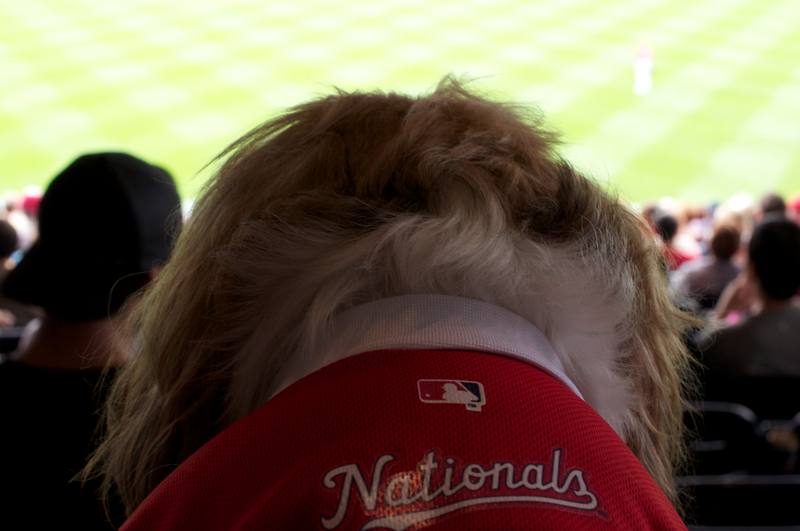 Webster was a very attentive fan, giving his support to the Nats, of course! He was literally on the edge of his seat during some plays. 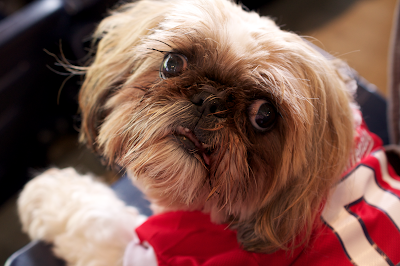 And like a typical kid, begged me for ballpark junk food.